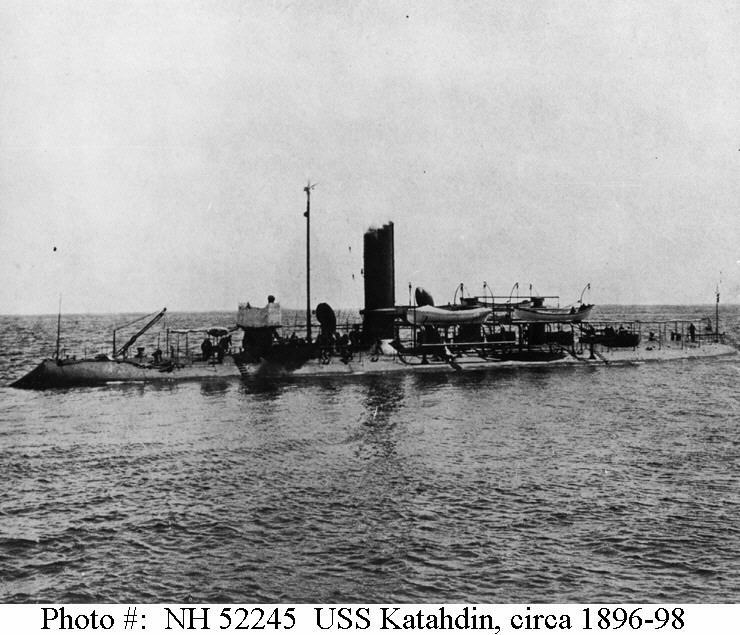 ↑USS Katahdin. Halftone photograph, taken circa 1896-98. Courtesy of Howard I. Chapelle, Smithsonian Institution. U.S. Naval Historical Center Photograph. 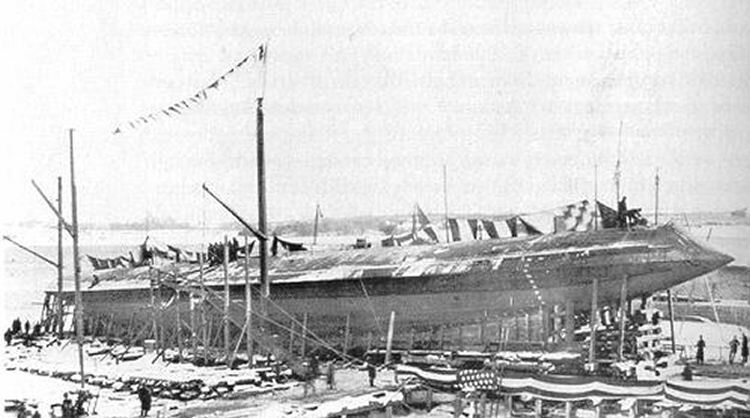 ↑Katahdin on her launch day, 4 February 1893, at Bath Iron Works, Bath, Maine.